316 Main Street Station, an iconic biker bar in Daytona Beach, decided to start selling customized bricks to pave around their establishment. They needed a promotional piece that could also serve as an order form. The end product was a perforated rack card sporting a grungy street look and some cheeky typography. 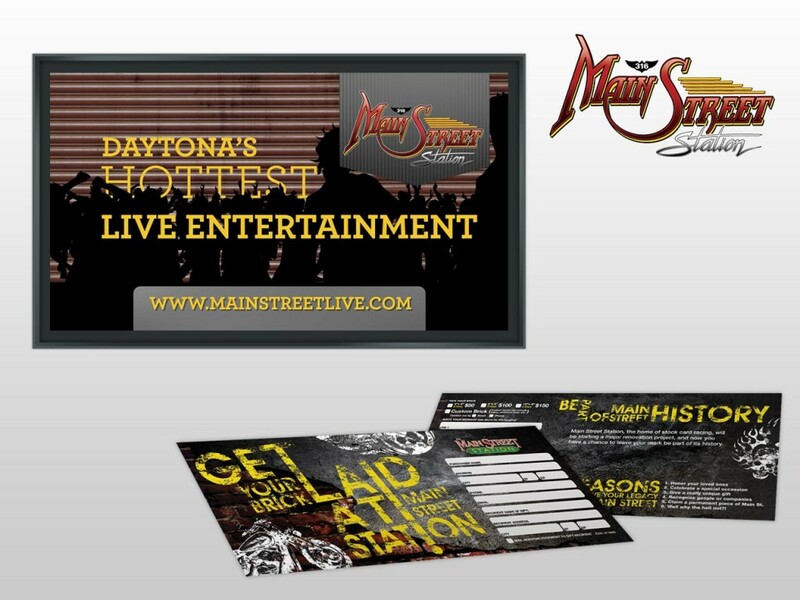 To promote the bar we were also tasked with creating a 20 second motion graphics video to be used at the Daytona Airport. The video is played above the baggage claim area. The graphics we used are continuously moving to catch the eye and the bold typography clearly communicates what 316 Main Street Station is all about.